I wrote a paper on Gardner's theory of multiple intelligences when I was working toward my master's in education. I didn't come down entirely on the anti-Gardner side of the fence but I was pretty critical about the lack of scientific evidence for separate "intelligences" and other imprecisions in his work (a chronic failing of education-related studies). 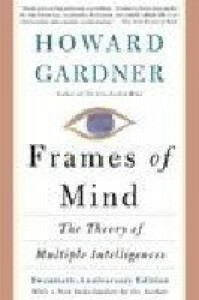 If nothing else, Gardner forces the attentive reader (pro or con) to re-evaluate how we teach people and if he's caused us to do it better, then he's done us a service.